Travel is in our DNA. It's our business and passion and it has been for over 140 years. In 1872 we invented the sleeping car, and in 1888, we opened one of the first travel agencies in the United States. 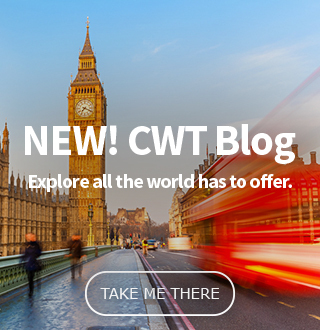 Drawing on a storied history, our CWT Travel Advisors have a wealth of expertise and knowledge that leads to superior service. No one works harder to get you the most value for your travel dollar. 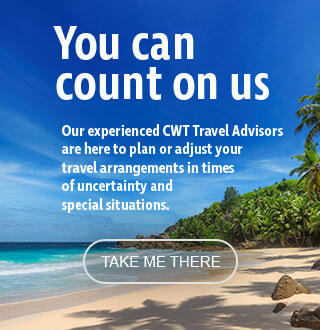 Best of all, our CWT Travel Advisors will handle every detail of your trip; from the day that planning begins, until the day you're home. We'll do anything to give you peace of mind and make your time away a true escape. Because when travel is in your DNA, you want everyone to travel more, and travel better. Scroll to see more ways to travel. Tap one to learn more. 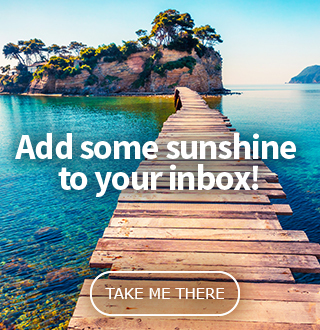 Follow us for even more exclusive deals, savings, and exciting content for the world traveler at heart. Explore all the world has to offer. 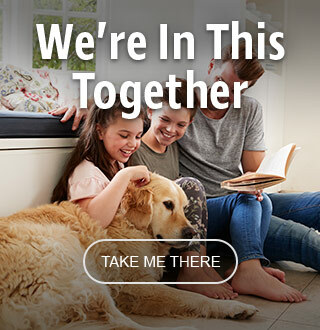 Inside you'll find stunning photography, inspirational features, helpful travel tips, and all the possible dream vacations that await you.